Your website’s dashboard should be as welcoming to you as your website’s home page is to your visitors. One way to do that? Customize your WordPress.com dashboard with color schemes. Today, you’ve got three new options for adding a little behind-the-scenes zing: introducing Powder Snow, Nightfall, and Sakura, designed especially for you by our Art Director, Eriko Kawakami. Whether you prefer the gentle monotone of Powder Snow, the darker and soothing colors of Nightfall, or the vibrant, cherry-blossom-inspired Sakura, we hope you’ll find a look you love. As part of our commitment to inclusive design, the new palettes are optimized for contrast and increased legibility. Whichever color scheme you choose, your dashboard will be stylish and readable. On your desktop, sign in to the WordPress.com account that you’d like to customize. My dashboard, using the Nightfall color scheme. More color schemes are coming, and we want your feedback! What colors do you want to see in your WordPress.com dashboard? Distributed teams, different geographies, and complex dynamics are redefining the modern workday. Soon, “job perks” like flexible hours and work-from-anywhere will become table-stakes benefits that every company needs to offer to stay competitive. WordPress.com’s parent company Automattic has long been ahead of this curve, growing a global software company of more than 850 people across 68 countries with no central office. Along the way, we’ve found that many business products are still locked into old assumptions about how a company runs, so we had to build our own internal tools to work the way we want. Now, we’re making these tools available to like-minded companies who need a better way to work. The suite is launching with Happy Schedule, a new take on workforce management. Designed to handle the complexities that come up when business goals are planned around real-world schedules, it helps you treat your employees like humans instead of resources. Using Happy Schedule, Automattic is able to plan 24/7 customer support while offering flexible working hours to our 300+ Happiness Engineers spanning many timezones. Happy Schedule helps you flexibly meet coverage goals across a distributed team. Happy Schedule is just the start. Over the coming years Automattic will release more of its internal applications into Happy Tools, with smart integrations between the products that make them even better when used together. We hope that by offering Happy Tools, even more forward-thinking companies will be able to move to a new way of working with customer support, internal communication, and people-management. You can get a 30-day free trial of Happy Tools when you sign up for a Happy Schedule demo at https://happy.tools. Electric Literature launched 10 years ago in Brooklyn, New York, as a quarterly print journal with a mission to make literature more relevant, exciting, and inclusive. And today they’re celebrating the launch of a new website on WordPress, at electricliterature.com. Surviving (and thriving) for ten years as an independent publisher is no small feat. Over the years the nonprofit organization has grown its online audience — with offerings like Recommended Reading and The Commuter — while expanding its membership of readers who help fund its work. The website is free to everyone and relies on the generosity of its community to donate to the site and support its mission. How does an indie website make its business work in 2019? We talked with Electric Lit’s Executive Director Halimah Marcus about some of the lessons they’ve learned in the past 10 years. Marcus and company made a deliberate decision early to become a nonprofit with a mission to support writers. “That was an interesting discussion. For the most part I think it was the right decision, although there are many different ways to look at this question. We were definitely a mission-driven organization. With Recommended Reading we partner with other magazines and indie presses and publications to promote their work and to give an online platform to many stories that have never been published online and never would be published online. “It was our goal to build a literary ecosystem, to showcase how diverse it was and to give access to it. There was nothing about what we were doing that was about making money [laughs]. Becoming a nonprofit to be mission-driven, to be able to have access to grant opportunities, to be able to solicit donations and make those tax-deductible was going to be important for our financial model.” As a nonprofit, Electric Literature receives funding from foundations including the Amazon Literary Partnership, the New York State Council on the Arts, and the National Endowment for the Arts — an important source of funding for a publisher when revenue from online advertising can fluctuate dramatically from month to month. Direct funding from readers makes a big difference for the business. Electric Literature does not paywall its essays or fiction — the site is totally free and readers have an option to donate or subscribe with a recurring monthly payment. Its membership program hit some bumps when it briefly moved it to Medium — the platform switched its membership model in 2018 and Electric Literature was one of several publishers who were left scrambling. Marcus’s advice? Think carefully about who you let between you and your readers — it’s very hard to regain subscribers after you’ve lost them. For more on Electric Lit’s new site, check out Marcus’s letter to readers. Placeholder text in the field for email address. Once your visitor starts filling out the form, this placeholder text will disappear. Text on the submit button. Terms of service disclaimer at the bottom. These terms and conditions are the contract between you and the subscriber. Success message text that will appear after visitors submit their email. Error message text if there was a problem in submitting the form. 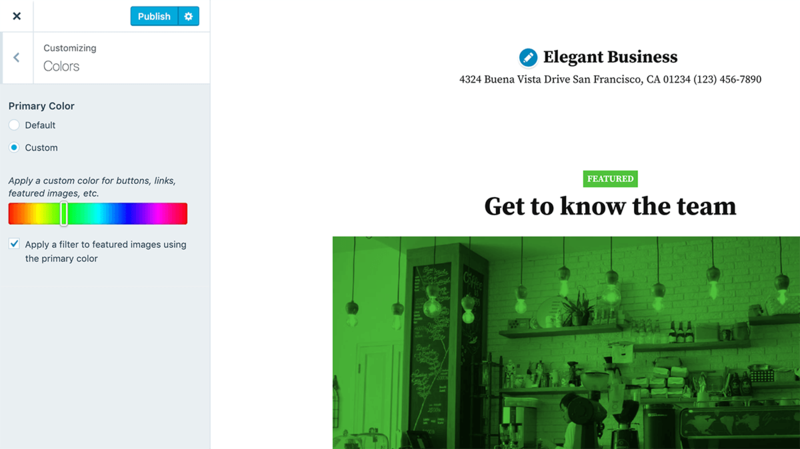 The first time you add a Mailchimp block, you’ll need to to connect your Mailchimp account to your WordPress website and specify the mailing list that your new subscribers will join. Once you have a Mailchimp account, open wordpress.com/sharing, choose your site and select “Mailchimp” from the list of connections. Mailchimp connection details in the Sharing section. Connection details after successful Mailchimp authorization. After connecting your account, remember to select your Mailchimp list. You can read more about setting up your configuration options here. Sending updates about new posts or products. Sharing other interesting articles from around the web. Expanding on your blog posts. Offering discounts or early access to premium content. Forging an email relationship can turn a one-time visitor into a loyal follower or customer. And the people who trust you with their email addresses are often your biggest fans, so it makes sense to give them some extra goodies. Here’s a quick example of how easy it is to set up. Collect the email addresses of interested visitors while you build your product or a larger site behind the scenes. Once your creation is ready to be unveiled, you can email your list to let them know. You can use lots of different features to build and engage your audience — social sharing, blog comments, the WordPress.com Reader — and now you’ve got one more tool at your disposal! Today is International Women’s Day! We’d like to celebrate it by highlighting gender balance and how important it is to us here at Automattic. While gender balance in itself is definitely something worth pursuing for ethical reasons, we also strongly believe that it makes good business sense. As our CEO Matt Mullenweg said in his recent TED talk, we believe that talent and intelligence are equally distributed throughout the world, but that opportunity is not. As a distributed company with 850+ people in over 69 countries, we’ve seen that the world is pretty big, and that talent and intelligence are definitely not limited by geography, race, gender, or sexual orientation. Being a distributed company gives us the opportunity to hire talented people like Valentina, a team lead in Spain who uses smart scheduling to have a high impact with her team at work and with her family at home. If we had a more traditional work setup requiring staff to come into brick and mortar offices every day, we would likely miss out on valuable contributions from people like Val. Another great example of diversity making better business sense for us is Khyati, a Happiness Engineer in Mumbai, India. If we only hired in the US, we would not have the benefit of Khyati’s understanding of the needs of users in her part of the world, and we would also need to require overnight shifts from staff in North America to support those same users. While the benefits of a distributed workforce are clear, the path to getting there is less so. Most traditional recruiting methods like job boards, career fairs, and recruiting agencies are focused on specific locations. How do you get the word out that you’re looking to hire… all over the world? Recruiting additional support staff to work with our customers in the Asia-Pacific region has been a high priority for several years. This has led us to holding events in person in select cities and advertising on regional job boards like Seek in Australia and Jobstreet in the Philippines. We were surprised to find that as we increased our recruiting, the rate of applications from women in the region was actually dropping over time. It’s not that fewer women were applying overall, but as awareness of the position grew, many more men than women were learning about the job and submitting applications. We realized that if we wanted to hire staff with a gender balance that reflects our customers, we’d need to actively reach out to women in this region. We did this though Workshops for Women that we held in person over 2018 in India and Singapore. For 2019 we decided to go virtual and offer an online course for women in the region to level up in their WordPress troubleshooting and customer support skills. In partnership with Support Driven, Automattic offered a six-week course on user support. We enrolled 24 women in our pilot version of the course, which just finished its initial run. The reason your D&I initiatives are failing is because you don’t know how to do the I part, so your D is leaving. Why isn’t recruiting for diversity enough? What does inclusion even mean? The typical entrepreneur is a white male in his 30s from a wealthy background, according to entrerpreneur.com. As smaller companies grow, founders are likely to recruit new hires from their personal networks. These networks usually consist of people with similar backgrounds to the founders and their initial hires. Having the longest tenure, these same initial hires are the people who advance into leadership roles and continue to make decisions about product development, company culture, and who else to hire. The result is that even when companies genuinely want to attract diverse talent, the company’s existing leadership has already been established from a group of very similar people. The true benefits of a diverse workforce can’t be achieved without the contributions of diverse staff at every level. It’s clear then that hiring is only part of the D&I picture. While we’re always working on recruiting a workforce that reflects the diversity of our global user base, we are also keen on creating equal opportunities for career advancement internally. As a part of these efforts, we took inspiration from Laura Hogan’s fantastic post on sponsorship, and recently setup an internal sponsorship program that matched senior female Happiness Engineers from across the division, with junior counterparts in Asia. As our hiring efforts in Asia only scaled up in the last few years, many of our colleagues there do not have women in their immediate leadership. This sponsorship program gives less-tenured women frequent access to women in leadership and other senior positions within our Happiness division, so they can see first-hand what it’s like being a leader. This sponsorship program aligns with our belief that representation matters — if you see someone like you in a position of leadership, you are more likely to feel empowered to work towards that same position yourself. We are indeed entering an exciting period of history where the world expects balance, and as one of the largest distributed companies around, we are proud to be leading the way in creating the workplace of tomorrow, a workplace that is better balanced by default. We’re always looking for more great people to join our team. Check out all of our open positions here! On International Women’s Day this Friday, WordPress.com parent company Automattic is hosting four outstanding women tech leaders for a livestreamed conversation about professional advancement, technology, and mutual support as we strive for equity in the workplace. It’s happening Friday, March 8 at 6 pm UTC / 1 pm ET / 10 am PT. Signups are limited to 500 people, so RSVP now to reserve a spot. You can also follow the conversation on Twitter at the hashtags #a8cIWD2019 and #IWD2019. We’re proud to welcome panelists with a diverse range of expertise. Eli Budelli is WordPress.com’s lead of mobile development; Yelp software engineer Tanvi Patel is part of the review platform’s core web team and an outspoken advocate for equality in tech and health; Crystle Johnson, senior manager of diversity and inclusion at Pandora, is an expert in embedding inclusion in hiring and talent retention; she is also the founder of the Red Lip Collective, which empowers young women of color through mentorship and professional development. And Diana Chiu, senior manager of business development at DuckDuckGo, brings deep knowledge of partnerships and M&A cultivated over a decade working across tech, aviation, and biotech. The event will be moderated by Maria Scarpello, customer success advocate for Automattic. The hour-long discussion will cover how to develop women leaders, create support systems for sustainable careers, and harness the power of self-awareness and self-validation. As a distributed company with more than 800 employees in over 60 countries, Automattic sees inclusion and diversity as a constantly evolving idea. We know that diverse teams make better products, and we also know that there is always more work to do. We hope that attendees of this panel, across career stages, gender, and location, will leave with at least one new strategy for using their voice at work and uplifting the voices of others. Keeping your data safe is as important to us as it is to you. Privacy protection for domains that are registered at WordPress.com is now free, so you don’t have to choose between your site and your security. When you register a new domain, you have to provide personal contact information. This information is stored at WHOIS, a database containing the details of every registered domain. In the past, WHOIS made this information publicly accessible unless you opted in to — and paid extra for — privacy protection. If you chose not to buy privacy protection (or couldn’t afford to), spammers and marketing firms could look up your domain and get access to your name, address, email, phone number, and other information about you or your business. Privacy protection replaces this public information with generic data, so WHOIS gets the necessary details but keeps your personal info safe from prying internet eyes — but at a cost. In May 2018, the General Data Protection Regulation (GDPR) came into effect for EU citizens. It resulted in changes to WHOIS that, in many cases, prevent contact information from being publicly published whether or not someone purchases enhanced privacy for a domain. We’re committed to protecting your data and believe online safety shouldn’t depend on where in the world you live, so from now on, every domain registered through WordPress.com also includes privacy protection at no extra charge. Head to My Site > Domains, pick a domain, and turn Privacy Protection on. If it’s blue, you’re all set. If not, toggle the setting to turn it on! Elevate your business website with one of our six new free themes! Calm, sophisticated, friendly, professional, elegant, modern — find the style that’s just right for you. WordPress.com has announced plans to create a new, open source publishing platform that caters to small and medium-sized news organizations. The Google News Initiative has contributed $1.2 million towards the development of “Newspack” on top of WordPress.com’s infrastructure. Automattic and Google have joined with other contributing partners from the broader world of journalism for a total of $2.4 million in funding for the first year of the project. These partners include The Lenfest Institute for Journalism ($400K), ConsenSys, the venture studio behind Civil Media ($350K), The John S. and James L. Knight Foundation ($250K), and an additional partner who will join later this month. Spirited Media and News Revenue Hub will also contribute to the creation of the platform. Local news organizations are critical for a healthy democratic society, keeping the public informed about things happening close to home. The move to digital news consumption has forced consolidation in the news industry where larger players have come out ahead while smaller publications struggle to stay above water. In a report called “The Expanding News Desert,” published in 2018, researchers at the University of North Carolina found that nearly one in five newspapers has disappeared during the past 15 years. Many others have become “ghost newspapers,” shells of what they once were – either absorbed by larger dailies that purchased them or suffering from a severely pared back newsroom that is unable to adequately cover local events. WordPress.com has amassed an expert team to address this crisis in local news. The Newspack platform will cater to the technological and editorial needs of smaller newsrooms, with the monetization tools to make their work sustainable. WordPress.com is currently accepting applications for charter participants and plans to launch in beta near the end of July 2019. The WordPress community has speculated widely about what shape Newspack will take, whether it will be like WordPress.com VIP tailored to publications or something similar to Jetpack with a curated set of tools that could be used by self-hosted sites through SaaS upgrades. According to WordPress.com president Kinsey Wilson, a former executive for NPR and The New York Times who joined Automattic in 2018, the platform may end up being a hybrid of approaches. The platform will support plugins that solve problems publishers experience at the local level and will also include Gutenberg-specific editorial tools. The most important distinction of the Newspack platform is that it will be open source. That also puts it directly in competition with proprietary CMS’s like Arc, Vox Media’s Chorus CMS, and MediaOS, that are prominent in the news industry right now. Instead of working together, larger media companies have opted to build their own CMS’s and many of them are also licensing enterprise versions to publishers or offering them as SaaS solutions. I asked Kinsey if Newspack will be something news organizations could self-host or if it will be inextricably tied to WordPress.com’s infrastructure. WordPress.com is making it open in the sense that publishers will not be tied to using it forever if they want to their information and copy the same setup somewhere else. Operating costs on proprietary platforms are much higher than what WordPress.com is planning for Newspack. Arc costs smaller publishers $10,000 per month in software licensing fees and can cost up to $150,000 monthly for larger publications. Vox media executives told the Wall Street Journal that the company “plans to sell Chorus at different pricing tiers depending on the demands of each customer with fees in the six and seven-figure ranges.” Small local news publications are often priced out of using a publishing platform like this. WordPress.com’s Newspack announcement comes on the heels of the news of Digital First Media’s unsolicited $1.36 billion bid for Gannett. The future of local news is tenuous, as larger players in the industry press for more consolidation and cost-cutting journalism. In the same week, Facebook, who has had a hot and cold relationship with publishers, announced the company is investing $300 million to support local news. In recognition of the dire situation facing many local newsrooms, the largest companies on the web are committing funds to help them find a sustainable business model. WordPress.com’s Newspack platform, with its affordable, open source alternative to proprietary systems, is positioned to make a strong impact during this seminal time in the evolution of the news industry. We’re teaming up with Google, Lenfest, Civil, and Knight to develop a next-generation publishing platform. Over the past 15 years, WordPress has grown to become the world’s most popular publishing platform for the open web — and it’s especially true for news organizations. Through WordPress.com and our enterprise service WordPress.com VIP, we’re proud to host sites for some of the most trusted names in journalism — from Time.com and CNN to FiveThirtyEight and Quartz, as well as individual sites for reporters and bloggers all around the globe. Today we’re excited to announce funding for a new platform, Newspack by WordPress.com, aimed at small- and medium-sized news organizations. Google, through the Google News Initiative, is taking the lead in backing the project and has committed $1.2 million. Other funders include The Lenfest Institute for Journalism, which is contributing $400,000; ConsenSys, the venture studio backing Civil Media, which is contributing $350,000; and The John S. and James L. Knight Foundation, which is contributing $250,000. An additional $200,000 from a fifth source is expected to be contributed toward the project later this month. News organizations interested in being part of the pilot launch can go to newspack.blog to learn more. With many local news organizations struggling to find sustainable models for journalism, we’re seeing a need for an inexpensive platform that provides the technology and support that lets news organizations build their businesses and focus on what they do best — providing critical reporting for their communities. Our hope with Newspack is to give them a platform where they can continue to focus on what they do best, while we focus on providing world-class technology and support across their editorial and business operations. In addition to WordPress.com parent Automattic, partners in the project include Spirited Media, which operates local digital news sites in Denver, Philadelphia, and Pittsburgh, and News Revenue Hub, a spinoff of Voice of San Diego, which provides revenue solutions for digital publishers. For more information, and to sign up for email updates, go to Newspack.blog.